If you’re in the market for the latest Chrome desktop solution and you want the most bang for your buck, CTL has a deal for you. Regularly priced at $699, you can steal the Core i7 CTL Chromebox CBX1 for $629. Comparable boxes from other OEMs will run you as much as $750. The CTL CBX1-7 comes equipped with the same 8th gen Kaby Lake Core i7-8550U found in ASUS’ Chromebox 3. You’ll also get 8GB of RAM and a 32GB SSD. Both the RAM and storage are easy to upgrade and can be done for a couple of hundred bucks. If you don’t want to mess with upgrading yourself, CTL will do the work for you. 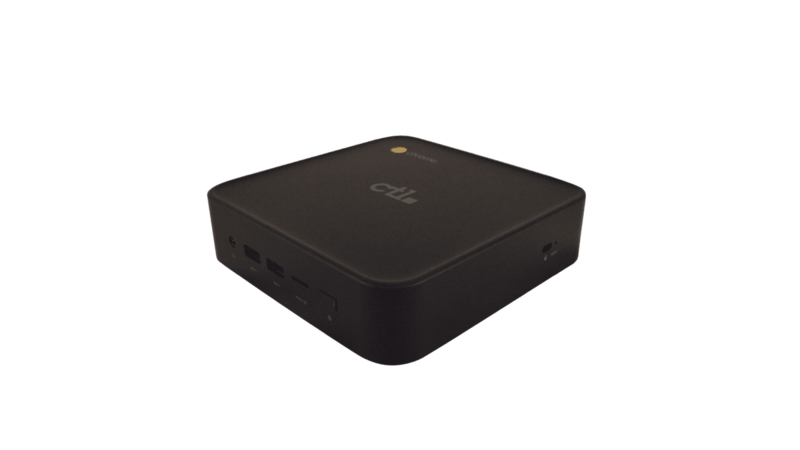 If you purchase directly from CTL, you can beef up your new Chromebox with a whopping 32GB of RAM and 128GB of storage for around $300 more. CTL also offers extended warranties and accidental damage plans for as little as $22. This Chromebox and its counterparts will soon be able to leverage GPU acceleration when using Linux apps and that will make the CTL a powerful tool for developers looking for a budget-friendly desktop solution. You can grab the pre-configured CTL Core-i7 with 8GB/32GB from Amazon or configure your own at CTL.net.